It gives me great pleasure to introduce the line-up for the 2019/2020 season, my second season as Artistic Director. In keeping with my objectives announced in the first season for a richer NNTT programming, we continue to expand our repertoire. We are dedicated to sharing the enjoyment of opera with as many people as possible. The three pillars of next season are Baroque opera, Russian opera and bel canto. NNTT has never taken on a fully-fledged Baroque opera, but we plan to perform one every other season from now on. The first piece in this series is HANDEL's "Giulio Cesare", known for its musical magnificence. This tempestuous human drama features the love-struck general Cesare, Cleopatra who seeks to exert her power and seduce Cesare and yet falls in love with him, and Cornelia and her son Sesto, both burning to avenge the murder of their husband and father. It will be conducted by the master of Baroque opera, Rinaldo ALESSANDRINI, while Laurent PELLY will make his NNTT debut as director. 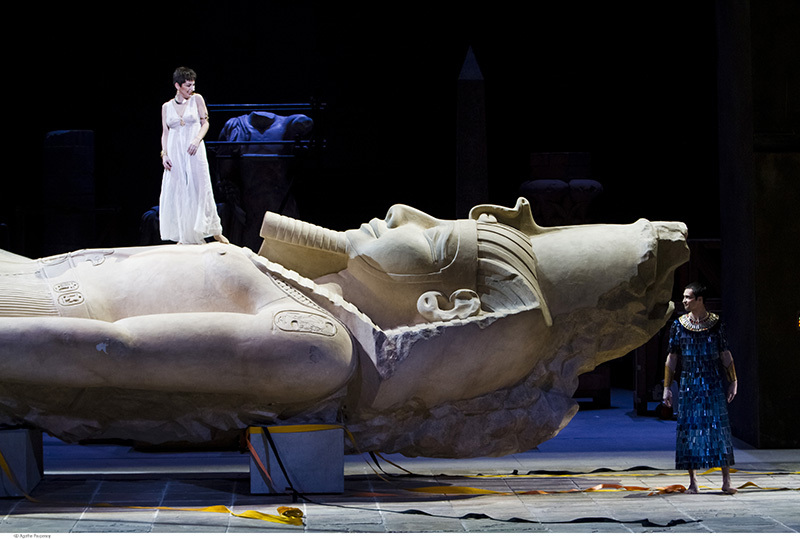 PELLY's production was a hit at the Paris Opera in 2011, produced with elaborate grandeur and full of wit, unfolds the story in the warehouse of an Egyptian museum. This large-scale Baroque opera at our Opera House will be one worth watching. The first of our Russian Opera line-up is, as you might expect, TCHAIKOVSKY's masterpiece "Eugene Onegin". It will be directed by Dmitry BERTMAN, the gifted artistic director of Moscow's Helikon Opera, who has introduced new life into the opera world with successive new interpretations. This work is a detailed portrayal of the solitude of Onegin and the love of the Tatyana, against the backdrop of four pillars in the beautiful Onegin Hall in Moscow, where Konstantin STANISLAVSKI, the forefather of Russian contemporary theatre, himself once directed Onegin. The talented line-up of singers includes the celebrated Evgenia MURAVEVA as Tatyana, Vasily LADYUK as Onegin and Pavel KOLGATIN as Lensky, while the passionate Andryi YURKEVICH takes up the conductor's baton. We also have a series of bel canto operas coming to the NNTT. First is the prized "Don Pasquale" by DONIZETTI, with a delectable feast of magnificent vocals and scenes that will have you bursting with laughter. As there are only four characters in this opera, the NNTT scoured the world to handpick the finest singers for the cast. The only female performer, Danielle de NIESE, is appearing in the role of Norina. She is a superstar, praised by the New York Times as "opera's coolest soprano " and quoted by Opera Today as "not just a superb performer but a phenomenal one". Her rare talent will delight everyone in from the audience to the backstage with her unerring singing technique, her aura as a stage artist and her personal charm. We are truly looking forward to her NNTT debut. We also have a top line-up of male performers by her side. Italian heavyweight Roberto SCANDUZZI takes the stage as the haplessly in love Don Pasquale. Russian performer Maxim MIRONOV appears in the role of the sincere Ernesto. It will be sheer pleasure to hear the aria "Quel guardo il cavaliere" sung by Norina. "Conosco i mille modi / Dell'amorose frodi / I vezzi e l'arti facili / Per adescare un cor" ("I know the thousand means love-frauds use, the charms and the easy arts employed to seduce a heart."). Another new work this season is Richard WAGNER's "Die Meistersinger von Nürnberg", as already announced. This is a new production by Jens-Daniel HERZOG, the director currently being at the centre of attention in the international opera world. The work is a co-production between the New National Theatre, Tokyo, the Tokyo Bunka Kaikan, The Salzburg Easter Festival and Semperoper. We have an impressive line-up of singers coming to Japan for this production. Hans Sachs will be played by Thomas Johannes MAYER, who is bound to make an impression as a young Sachs. Adrian ERÖD will appear as Beckmesser, having performed this role in the past and made it a springboard for his international career. Walther will be played by the young, energetic and passionate Tomislav MUZEK, while HAYASHI Masako will appear as his lover, Eva. We will all be on the edge of our seats until their love is realised (although I will be watching from the pit). You can also set your expectations high for our repertoire productions, with its outstanding singers and conductor. Shining talent from the opera houses and music festivals of the world includes Myrtò PAPATANASIU, appearing as Violetta in "La Traviata", SUDO Shingo in the role of Giorgio Germont, Nino MACHAIDZE playing Mimi in "La Bohème" and Matteo LIPPI as Rodolfo. WAKISONO Aya, who continues to climb to new heights on the global scene, plays Rosina in "Il Barbiere di Siviglia". Eleonora BURATTO, Italian soprano with real calibre, and Anna GORYACHOVA who has conquered the hearts of many will be in "Così fan tutte", while Stefan POP will make his debut in the title role of "Les Contes d'Hoffmann", accompanied by a troupe of talented female Japanese vocalists. Another drawcard in the line-up is Alex PENDA in "Salome". Our line-up of conductors is also brimming with talent, frequently appearing routinely on the world opera stage, comprises Marko LETONJA, Ivan REPUŠIĆ, Constantin TRINKS, Paolo CARGIANI, Corrado ROVAIS, Antonello ALLEMANDI and Paolo OLMI. Also, when the whole world will be watching Japan in August 2020, we will present a special new production of "Children's Opera". Music composed by SHIBUYA Keiichiro, script by SHIMADA Masahiko, directed by OGAWA Eriko, Artistic Director of Drama of the New National Theatre Tokyo, and conducted by me, ONO Kazushi. Many children on stage will interact with A.I. robot and talk about the future of Japan. I hope you will join us with family and friends in this special occasion when a robot will sing and move in harmony with the voice of the singers and the music from the orchestra. ONO Kazushi graduated from Tokyo University of the Arts. He was formerly Music Director of the Zagreb Philharmonic Orchestra (1990-1996) and General Music Director of Badisches Staatstheater Karlsruhe (1996-2002) before he succeeded Antonio Pappano as Music Director of Theatre Royal de la Monnaie in Brussels where he enjoyed six highly successful seasons (2002-2008). He then served as Principal Conductor of Opéra National de Lyon (2008-2017), during which time he was also Principal Guest Conductor of Filarmonica Arturo Toscanini. 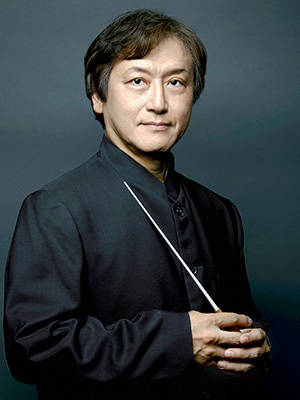 He is currently Music Director for the Tokyo Metropolitan Symphony Orchestra and the Orquestra Simfònica de Barcelona i Nacional de Catalunya. He made his opera debut in 2007 at La Scala in Milan ("Macbeth"). Since then, he has made a number of appearances at the Metropolitan Opera in New York ("Der fliegende Hollaender"), the Opéra National de Paris ("Kol Roger"), the Bayerische Staatsoper in Munich ("Der fliegende Hollaender" and "Haensel und Gretel"), the Deutsche Staatsoper in Berlin ("Elektra"), the Glyndebourne Festival Opera ("L'heure espagnole", "L'enfant et les sortileges" and "Haensel und Gretel"), and the Festival d'Aix-en-Provence ("Le Rossignol"). In September 2016, he took up the role of Artistic Consultant for Opera at the New National Theatre Tokyo, and in September 2018 he assumed office as the theatre's Artistic Director of Opera.